Do you know this idea that electricity put an end to ghost stories? People stopped seeing ghosts when rooms were properly lit … The way stories were written changed around that time. Ghost stories work up to a shock, but the modern form of the short story is different. When a loose, open kind of story came in, writing about ghosts went out. As a fangirl of all things sinister and spectral, I cannot—will not—accept this. And so I’m always searching for stories that startle and make me afraid to look up from the page for fear of what I may find staring back, for that uncanny twist in the tale that renders the cosy and familiar strange and terrifying. But even I have to admit that the Victorians (and writers who harken back to that era—Susan Hill, John Harwood) rule the genre. 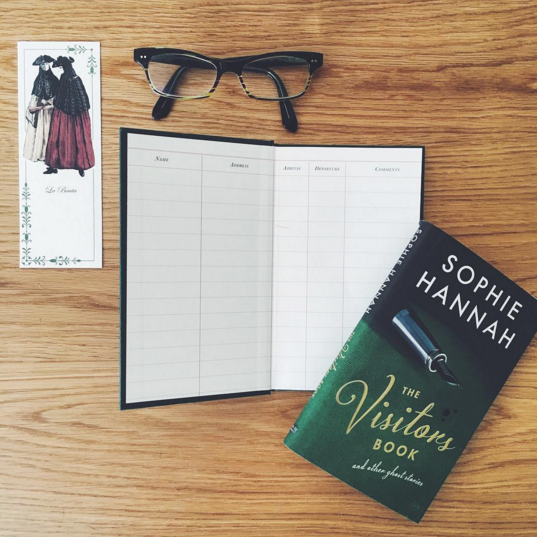 Still, I haven’t given up, and when I saw the (utterly gorgeous) cover for Sophie Hannah’s The Visitors Book and Other Ghost Stories (Sort Of Books, 2015), I was hopeful. 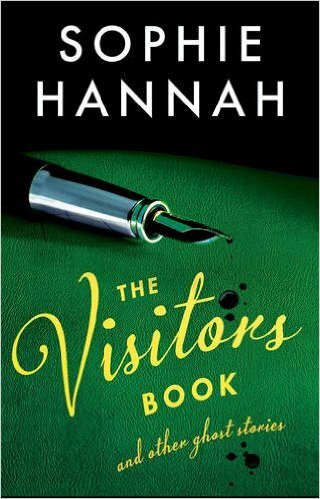 Hannah is a British author best known for her psychological thrillers, and while I love the genre, I’m not familiar with her earlier work. The Visitors Book and Other Ghost Stories is a slim volume of four short ghost stories: ‘The Visitors Book’, ‘The Last Boy to Leave’, ‘Justified True Belief’ and ‘All the Dead Mothers of My Daughter’s Friends’. While all four are set in contemporary London, they follow the traditional structure of mounting tension that turns on a single effect that Edgar Allan Poe laid out in his definitive essay, ‘On the Importance of the Single Effect in a Prose Tale’ (1847). With the exception of ‘Justified True Belief’, the stories start with a domestic scene: a couple arguing in an apartment, parents preparing for a child’s birthday party, mothers chatting in the playground while they wait to collect their daughters from school, before the inkling that something’s not right sets in and these scenes of banal domesticity distort into something more sinister. Hannah depicts her ghosts as flesh and blood people, and much of the horror lies in the uncanny flip in perspective as the reader realises that a small child or a woman in an evening gown is not, in fact, a living person but a ghost. However, while Hannah has mastered the art of suspense, she’s working against the fact that the reader knows the stories are ghost stories and is on the lookout for specters. The twists feel inevitable rather than surprising and chilling; although, in Hannah’s defense, each offers a little more than just a ghost. The second thing I notice about the woman waiting to cross the road is that the roots of her teeth are visible and blackened where they meet the gum. I see them clearly as she talks: dark flashes in her pink mouth. She hasn’t noticed that the green man is illuminated. Her friend has, but doesn’t want to interrupt. Both are smartly dressed, with laminated name badges on strings around their necks. I can’t read their names. The friend, the listener, is considerably more attractive. How could she not be, when the speaking woman is a ghost. Which was the first thing I noticed about her. Revealing the ghost in the opening paragraph promises a fresh twist and the story sparks with mounting tension. I was somewhat underwhelmed by the collection as a whole—I hoped for something innovative and chilling and didn’t find it. But it was worth reading if only to discover Hannah herself. 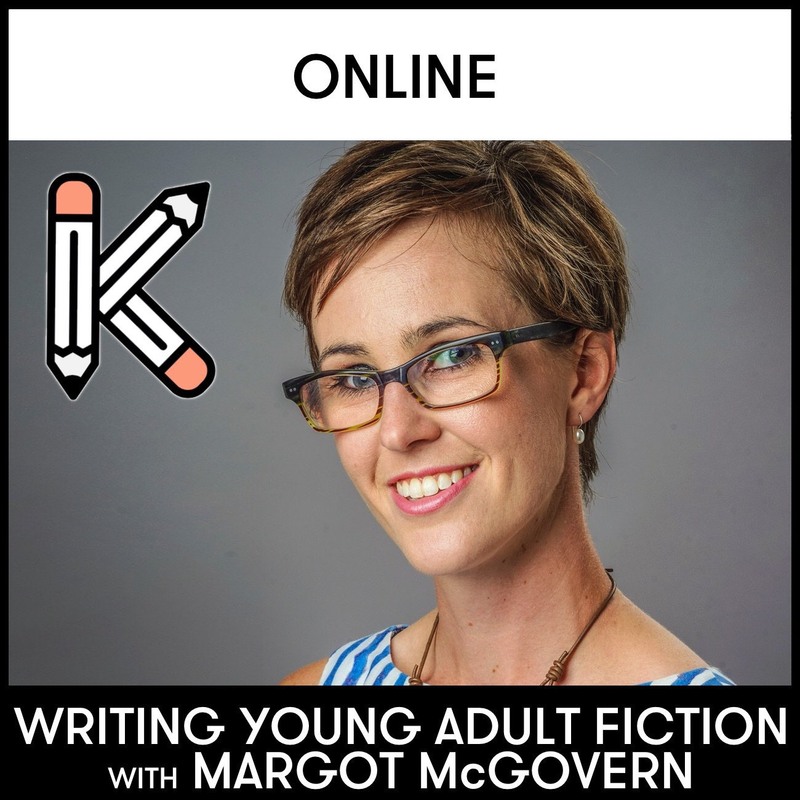 In each story, she works tension into the most pedestrian scenes, her characters are layered and intriguing, and her prose is clean and tight—I’ll be adding her thrillers to my reading list. See The Visitors Book on Goodreads and purchase through Amazon, Book Depository and Kobo. Thank you to Allen and Unwin (Australian distributors) for providing a copy of The Visitors Book in exchange for an honest review. Posted in For Readers, Literature / General Fiction, Thriller / Crime and tagged book reviews, books, ghost story, Gothic, reading, short stories, Sophie Hannah, The Visitors Book, thriller. Bookmark the permalink.